Frown lines making you look stressed? Do you appear angry or stressed - even when you’re feeling fine? Replace a heavy upper face with a subtly rejuvenated appearance. The muscles that control movement across your forehead are called the frontalis and corrugator muscles (see facial muscle diagram, right). These work together to do many things for your face - including lifting your brow by pulling upwards, and furrowing the brow using a downward pulling motion. 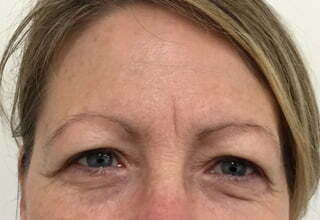 What will happen during my frown line injections consult? How long until I see my frown line reduction results? Do frown line injection hurt? 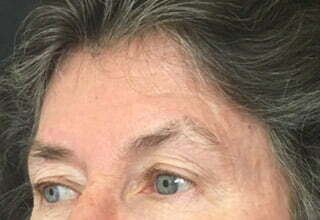 The extent of improvement in forehead lines depends on what you start with. 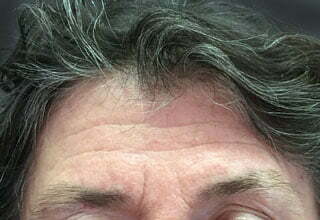 When you have visible lines in your forehead when you raise your eyebrows (these are called dynamic lines as they only appear when you move) - the injections will paralyse the muscles and will smooth out your forehead. However if you have visible lines on your forehead even when you’re not raising your brows (these are called ‘static’ lines), and it’s worse when you raise them, the lines will be softened and less visible, but will not disappear altogether. 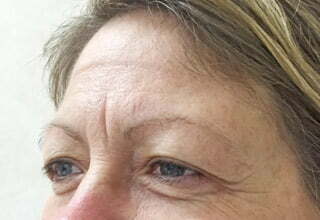 Can frown line injections be used alongside cosmetic brow tattooing?